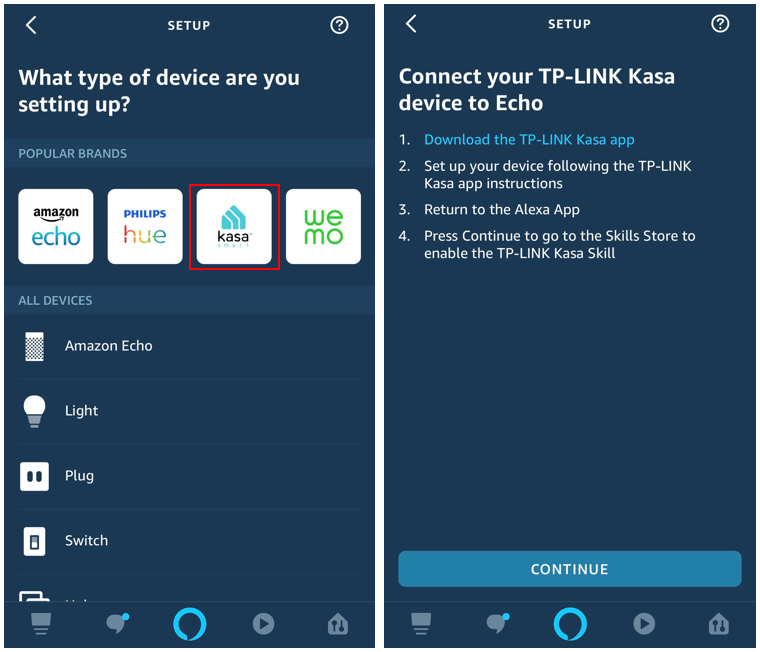 How to make my TP-LINK Kasa Device work with Amazon Alexa? 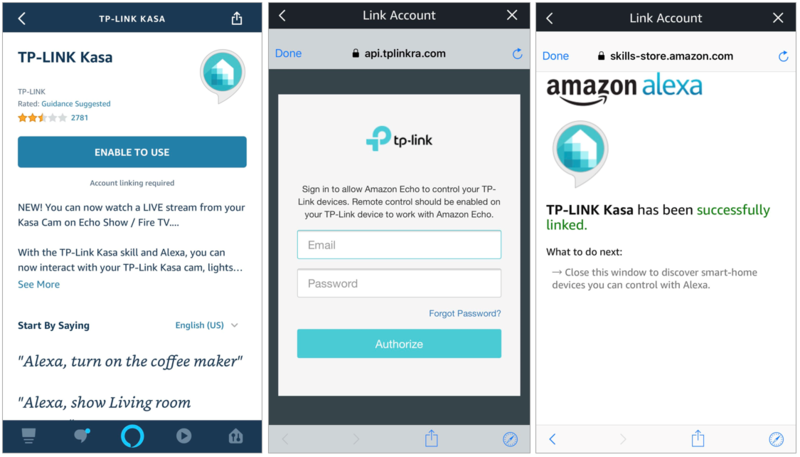 This FAQ will show you the process on how to connect your TP-Link Kasa account to your Amazon Alexa account. If you meet any difficulties in the process please roll down to the bottom for Troubleshooting. Before we start please make sure Remote Control is enabled on your Kasa APP. Open the Kasa App and signed into your account. If you don’t have an account yet, please register for one. You can refer to FAQ-948 for help. Connect all your devices to home network. Please make sure all devices are working via Remote Control. If you don’t know how to enable remote control, please refer to FAQ-2024 and FAQ-2322. 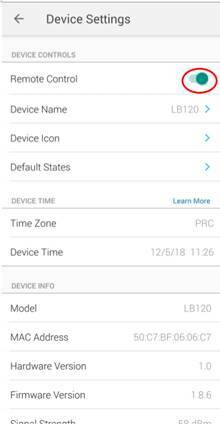 Note: Some smart devices will enable Remote Control automatically and you won’t see the remote control option on Device Settings page. 1. Open Amazon Alexa App, tap on the "Home" icon in bottom right corner. Then click the "+" icon in upper right corner and select "Add Device". 2. Select "Kasa Smart" and tap on "Continue". 3. Tap on "ENABLE TO USE", type in your Kasa account and password and then click "Authorize". After authorized successfully, the App will remind that "TP-LINK Kasa has been successfully linked". Tap "Done" to go to the next step. 4. 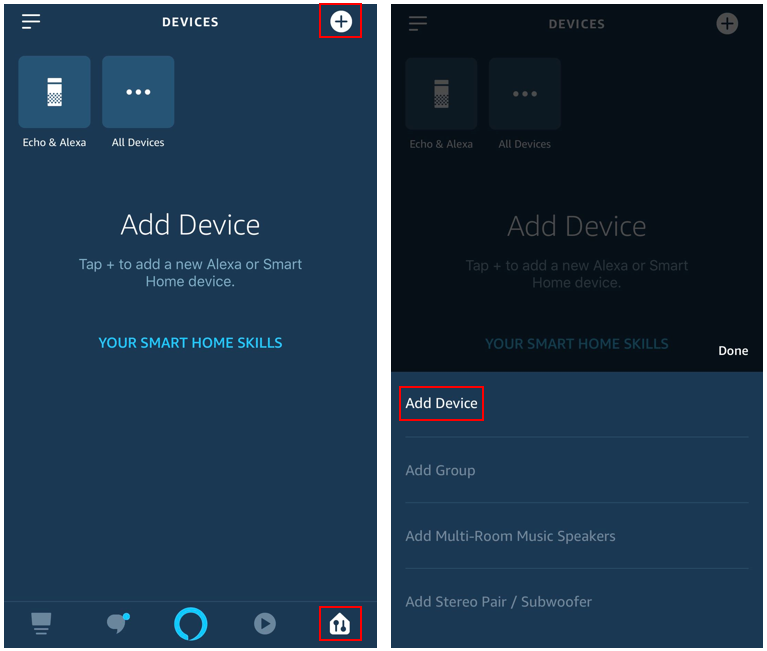 Tap on "DISCOVER DEVICES" or use voice command "Alexa, discover devices". Alexa will scan and show the devices bound to your Kasa account. 5. You have now completed the setup process. 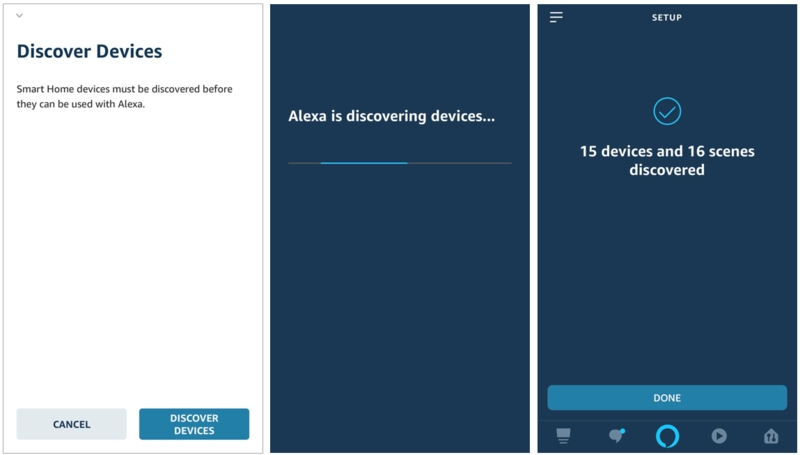 You can select the device types and view what devices are discovered by Alexa. For example, if a bulb on Kasa is named “Little Bulb”, we can say “Alexa, turn on the Little Bulb” and check if Alexa powers on this bulb. Note: Every time you change the name of smart device, you will need to discover this device again to update the name. Alexa fails to discover devices, how can I do? Try to reboot the smart device and re-discover on Alexa. Double check whether Kasa App can remotely control the device or not. If not, check your internet access and remote control settings. Why does the device’s status Show “Offline” on Alexa? Wireless connection could have been lost. Try reboot the device and re-discover on Alexa. Internet access on your router could be unavailable. The remote control function could have been turned off. There is an issue with the cloud server. 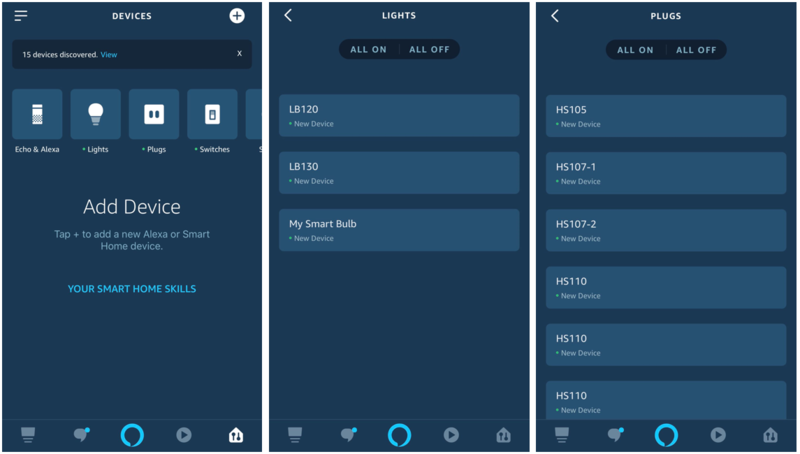 Alexa has discovered the devices but cannot manage them, while via Kasa App you can. For this situation please contact support for help.